Last week we explored spices. 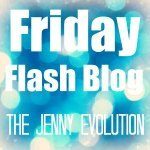 And we loved it! 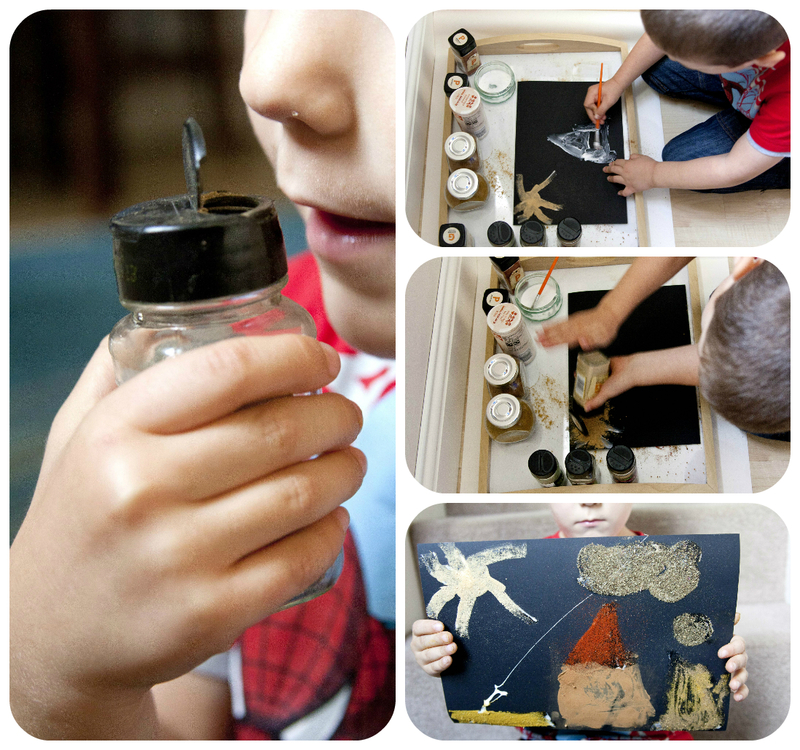 Practicing writing and mark making with spices writing tray was a great sensory experience. Yesterday we focused on smell and color creating spices pictures. 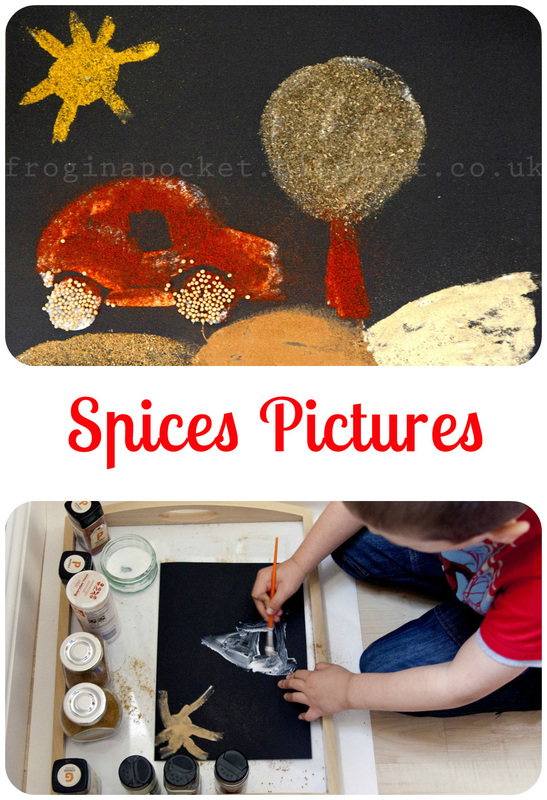 Creating pictures using spices is a great sensory experience for a child. First focus on smell and color. Encourage your child to smell the spices and choose which ones they like (make sure your child doesn't inhale the spices especially cinnamon as this can be dangerous. You can give them an empty jar to smell or put some cotton ball at the top). 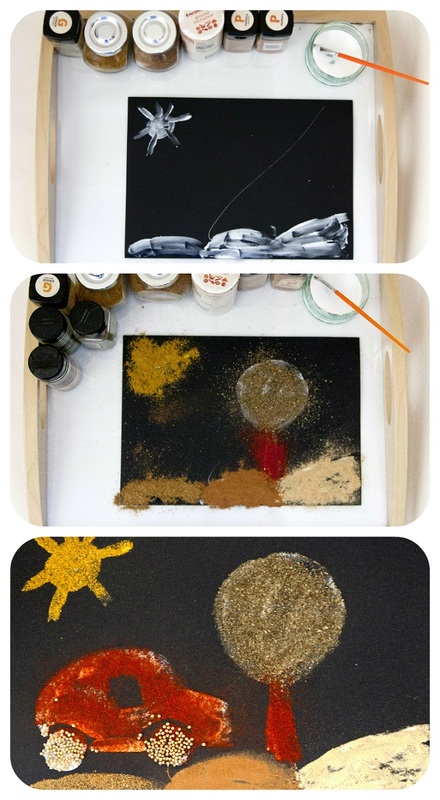 Then look at the colors so children can decide what spices they want to use for a picture. Is your child brave enough to taste some of them? 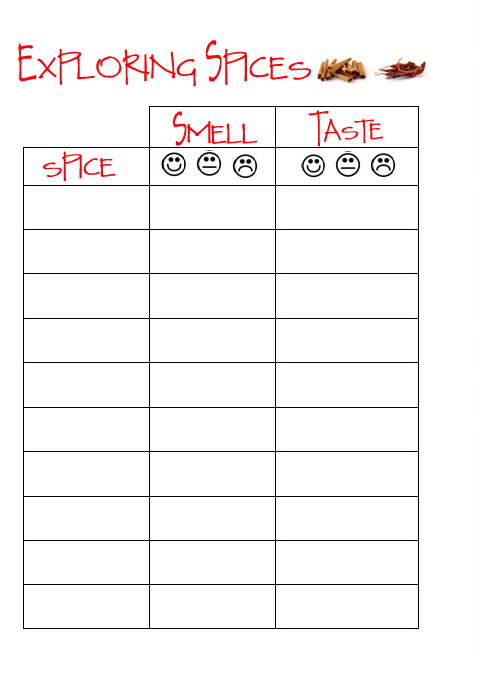 To record all the experiences when tasting and smelling our spices I created a simple table - you can get it HERE. Simple write the spice name and let the child record their sensations by drawing a little face. After smelling and tasting it's time to create the picture! 3. shake off and let it dry. For Mr Frog it was a great sensory adventure. He was brave enough to taste some new spices and was very excited about colors. That is a great idea. I might have to try this with my daughter. 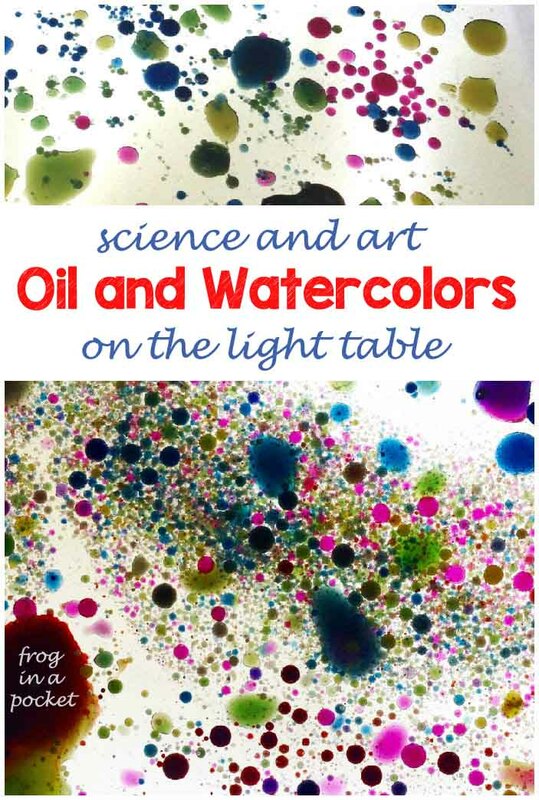 It is really nice sensory experience :) I hope your daughter will like it!